Why choose High Quality Carpet Cleaning as your Hillsborough NJ carpet cleaning company? Customer satisfaction is our #1 priority– or we’ll come back. Carpet Cleaning Services in Hillsborough NJ should be performed by a company who has been in business for a length of time and who has satisfied customers they can provide as testimonials. High Quality Carpet Cleaning LLC. is certified by the highly regarded Institute of Inspection Cleaning and Restoration, services include residential and commercial Hillsborough NJ Carpet Cleaning. Our residential and commercial carpet cleaning services include state-of-the-art fresh water truck mounted steam cleaning, and, at no charge, scotch guard, deodorizing, spot removal and furniture relocation. In addition, we specialize in flood damage restoration, furniture upholstery, and oriental rugs. Don’t be a victim of false business practices when dealing with affordable carpet cleaners in Hillsborough NJ. High Quality uses high pressure, intense heat and superior extraction systems. Our truck mounted carpet cleaning equipment is considered the best technology for a complete and professional carpet cleaning service. Our trucks are equipped with ProChem systems providing powerful, safe and efficient results. Our cleaning service detergents are carefully selected for every individual type of service. We make sure our solvents are safe for kids and pets alike. We use additives and conditioners to protect your carpet and/or upholstery from browning, water marks or color bleeding. We remove all residual detergents and keep your fibers feeling clean and soft. We work on eliminating odors, mildew, stain removal, leather care among other things. We restore the beauty to your old fabrics or surfaces. 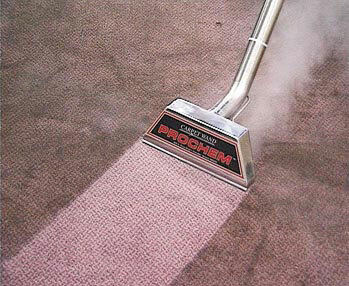 We will disinfect your carpet with the use of high pressure and intense heat. High Quality Carpet Cleaning only hires the very best Hillsborough NJ Carpet Cleaners available to insure your satisfaction! Servicing Hillsborough NJ including 08844.